Masonic Pocket Knife, Los Angeles Fraternal Supply Company Inc. This Masonic Pocket Knife makes a great gift. 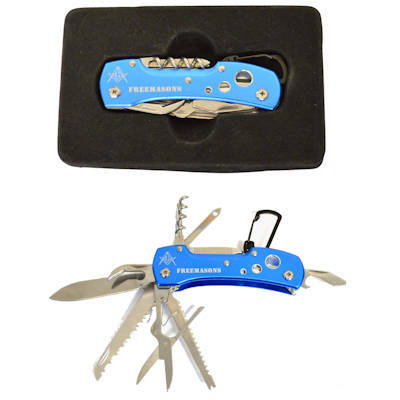 It has 13 functions from a knife to a cork screw to scissors. Perfect for th eoutdorsman!